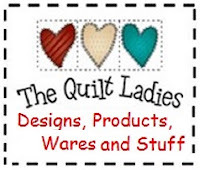 The Quilt Ladies Book Collection: No Flour, NO Sugar Cookie Recipe - Weight is coming OFF ? No Flour, NO Sugar Cookie Recipe - Weight is coming OFF ? I've been working on my weight, doctor had a GOOD talk with me in December and I've been changing a LOT. My body, is changing too. I'm born and raised in Iowa, corn, meat and potatoes. Love my egg noodles, cakes and cookies. Not anymore, I'm shopping fresh markets now and going to wheat products if I eat them at all. I like my cookies small, about the size of a quarter/golf ball. what they look like on the sheet is what you get. 350 degrees for 15 Minutes. I have made these cookies before and it is amazing how good they are. Thanks for sharing the recipe. Now I'll have to go make some!